Tyler celebrates his 14th birthday in the backyard, after dark. He has a rare disease called “XP” which makes UV light fatal. His mom Eve has done her best to shelter him, and their family life revolves around a series of elaborate protocals to keep Tyler safe. The reality is, tho, he will still probably die before he turns 20. Tyler’s older sister Melissa seems to accept their unusual life, but as she nears 16, she starts to buck against her parents’ rules. Their dad, David, is working in another state and struggling to stay close to his family. Tyler’s family thinks they are doing ok (fatal disease notwithstanding) until the night Eve’s best friend’s daughter Amy goes missing. The seach for Amy takes over all of their lives. The strain of this tragedy, on top of their daily struggles, might just be too much. Tyler has a secret: he sneaks out at night with a camera. At first he just took pictures of wildlife and plants, but soon he discovered the irresistable thrill of peering into his neighbors’ lives. Everyone has secrets, and Tyler knows a lot of them. But its the one secret he doesn’t know that could be the hardest for him to face. 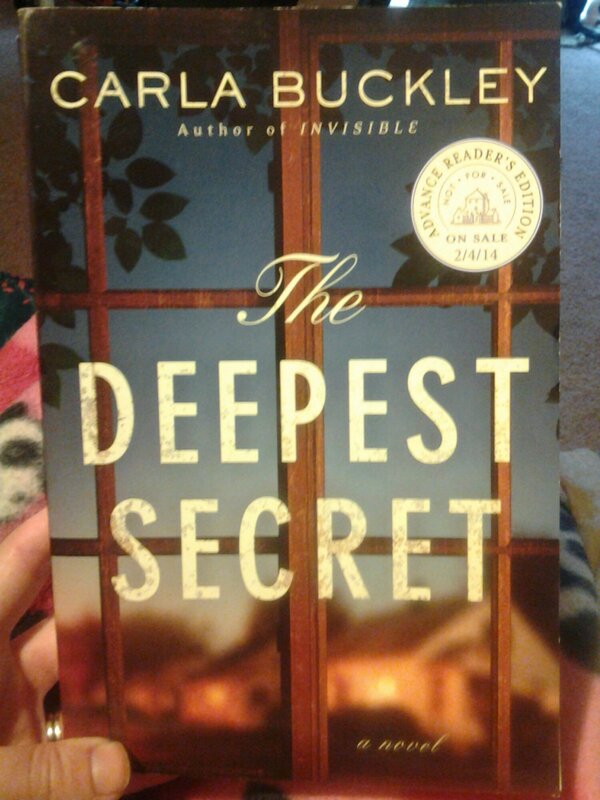 The Deepest Secret could be classified as a fairly standard women’s novel. The chapters narrated by Eve and David are like a lot of other chapters about two married, disconnected people. But the chapters from Tyler’s perspective elevate this novel above the ordinary. His character and voice are unique. Its rare to read a novel with a 14 year old boy that has been this well developed. Everyone has secrets. And The Deepest Secret will keep you turning the pages, wanting to find out all of them. This entry was posted in Fiction and tagged accident, book review, death, family, guilt, illness, infidelity, medical. Bookmark the permalink.